A potential deal between Democrats and Republicans to avoid another partial government shutdown would include billions of dollars for the southern border wall. Congressional bargainers who are participating in talks said that the money will fall between $5.7 billion, the figure President Donald Trump initially requested, and $1.6 billion. A quarter of the federal government shut down for over a month starting in December 2018 because Democrats refused to include money for the wall, after Trump said he wouldn’t sign any appropriations unless they included wall funding. Trump has repeatedly focused on the border crisis, noting that the flood of illegal aliens, particularly families, has put a strain on the border infrastructure and involves large numbers of drug and human trafficking. The best way to stem the flood, he said, is to build a wall along portions of the U.S.-Mexico border. While Trump has been open to compromise, Democrat leader and Speaker of the House Nancy Pelosi (D-Calif.) said that she would not approve more than $1 for the wall, which she has called “immoral.” Despite Pelosi’s hardline stance, some Democrats said on Feb. 8 that they’re poised to give Trump several billion, and Pelosi said that she will support the deal struck by the 17-member committee. 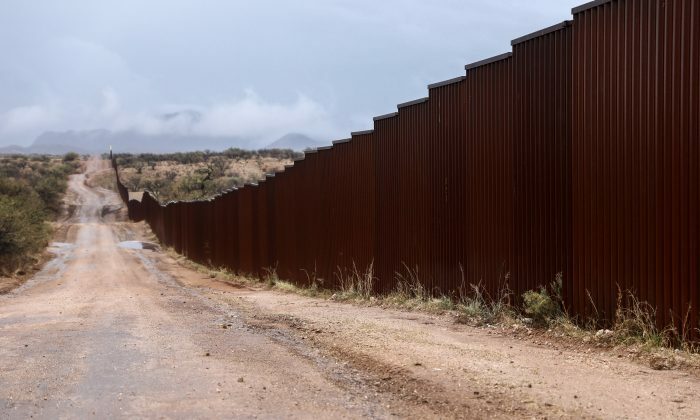 Other Democrats, though, said a compromise would include less than $2 billion for the wall, with some funding going towards technological support for Border Patrol agents, such as drones. Rep. Mark Meadows (R-N.C.), leader of the House Freedom Caucus, said he spoke Thursday night to Trump, who was in “wait and see” mode. 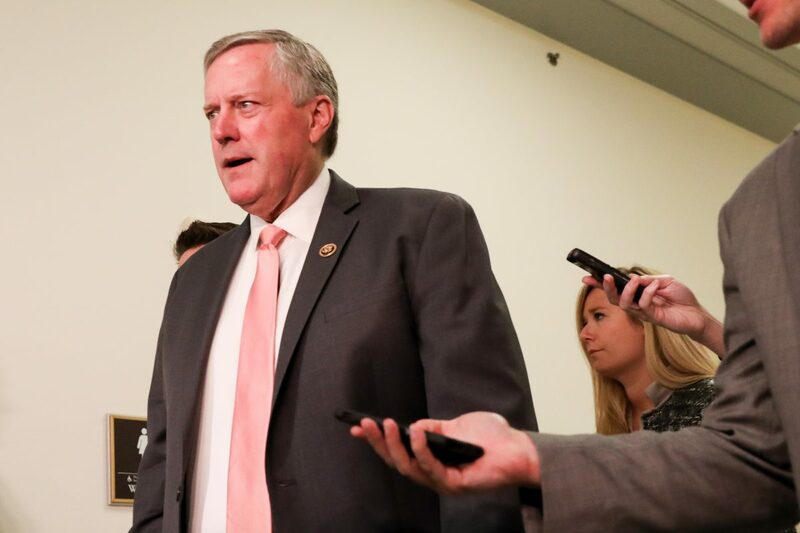 Meadows said he expects the compromise to provide an amount for the wall closer to $1.6 billion than the $5.7 billion Trump requested. Republicans said they’d prefer to get at least $2 billion. “I want the highest possible number that we can get, but I would hope that we can get north of $2 billion,” Rep. Chuck Fleischmann (R-Tenn.) told the Wall Street Journal. Besides the dollar figure, talks were focusing on the type and location of barriers, participants said. 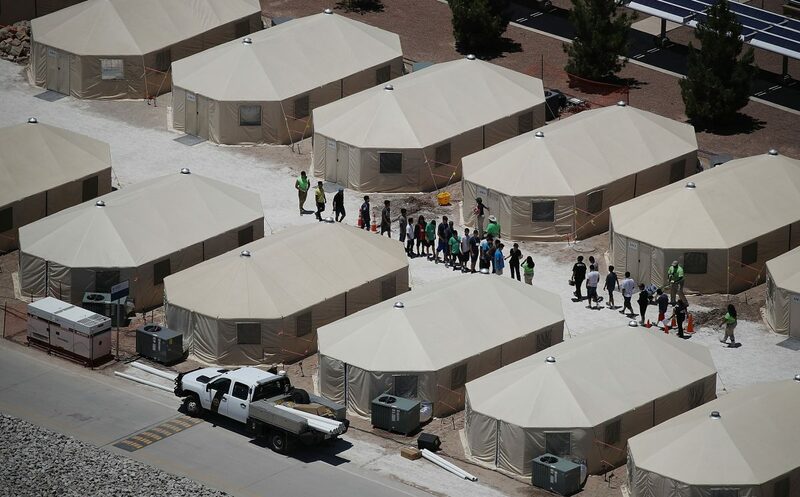 Also in play were the number of beds the federal Immigration and Customs Enforcement (ICE) agency could have for detained migrants and the amount of aid included for natural disaster relief. Democrats want a lower number of beds as they try to limit how many illegal aliens ICE can detain, while Republicans want a higher number so the agency has adequate space to detain people as it processes asylum claims amid a massive backlog. Without a deal passed by Feb. 15 and signed by Trump, about 25 percent of the government will shut down again, leaving an estimated 15 percent of the federal workforce furloughed or working without regular payment. 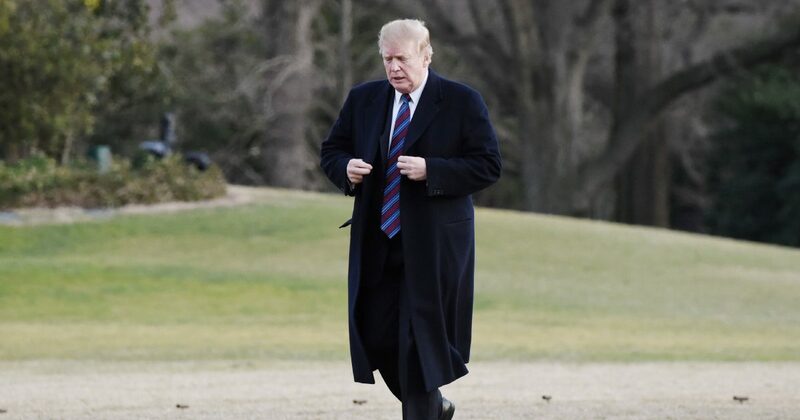 Trump has said multiple times during the fight for the wall that he prefers to reach a deal with Congress but regularly mentions his ability to invoke a national emergency, clearing the way to build the wall with funds from a variety of sources. The president is aware that if he did declare a national emergency, legal challenges would be filed almost immediately. “We have very strong legal standing,” he told reporters on Feb. 1. House Majority Leader Kevin McCarthy (R-Calif.) told reporters on Friday that Republican lawmakers wouldn’t vote to block Trump from declaring a national emergency. “I don’t think anyone questions his legal authority to declare a national emergency,” McCarthy said, reported the Washington Examiner. There are also avenues to fund the wall without Congressional approval and without declaring a national emergency. According to a Department of Defense official, Trump has the authority to use the military to construct a barrier. “You are correct,” Rood said.